ISO 9001: 2015 Management System certification is a quality management system which aims to continually improve the performance and efficiency of our business. 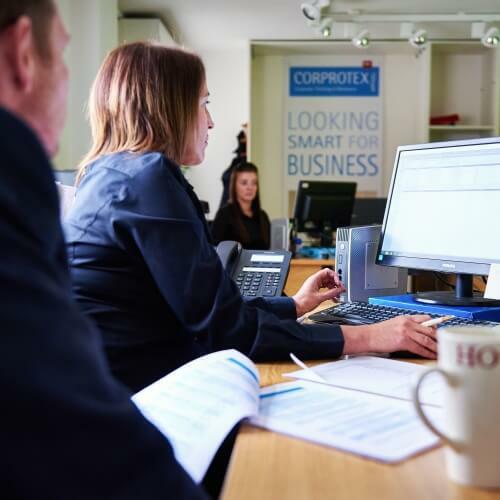 The whole idea behind this is to continually improve the experience of our customers and to give our clients confidence in dealing with Corprotex. We record all errors and complaints so that we can learn from these and put procedures and measures in place to stop these issues from arising in the future. Below is a brief guide to the 8 principle of quality. Companies depend on customers therefore need to understand current and future customer needs. Considering the needs of all interested parties i.e. customers, suppliers, employees etc.